IPv6 is becoming an unavoidable reality, and the majority of content providers try to deal with it one little step at a time, starting with IPv6-to-IPv4 load balancing (or even NAT64) somewhere at the edge of the data center. This incremental strategy allows you to give users access to IPv6-enabled content with minimum initial investments, but it also triggers a series of transitions the organization has to go through before reaching the final destination: IPv6-only data centers after IPv4 becomes truly obsolete. Each one of these transitions has to be planned, designed and managed, and each one of them introduces risk and potential downtime. The webinar describes an alternate approach: an IPv6-only data center and network core with the only IPv4 component being NAT46 translation boxes at the network edge. Tore Anderson is running this design in production environment and will share his real-life experiences and the glitches he encountered on his path to IPv6-only data center. Tore Anderson is a network and infrastructure architect at the Oslo offices of Redpill Linpro, a data centre and application service provider operating in the Nordics. 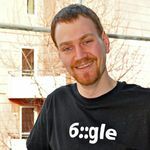 He has been a vocal IPv6 proponent for years, first by helping quantify and fix the "IPv6 Brokenness" issue, followed by deploying IPv6 on several of the largest web sites in Norway. Due to IPv4 depletion being imminent in Redpill Linpro, his current main focus is on developing a unified solution that will ensure both IPv6 deployment and IPv4 service continuity, while at the same time avoiding introducing complexity or decreasing the overall performance of the service delivery platform. He is also an active member of the RIPE and IETF communities, the Norwegian IPv6 Forum, and various operator communities. If you’re planning to design, deploy or operate an IPv6 network, you simply have to attend this webinar, regardless of whether you’re working in an enterprise or service provider environment.